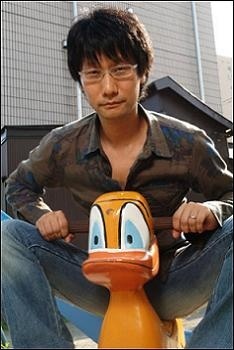 Uncle Hideo wants you! To make videogames! Many U.S. gamers have dreamed of working for Hideo Kojima's studio, Kojima Productions. That dream's now gotten a little closer to reality, since the company has announced plans to open a studio here in California. Senior Producer Kenichrio Imaizumi, who was on Twitter discussing a new brand manager position at the company, explained, "Yes, we plan to open a studio in CA. IF we can find the right people." You'll also need "Japanese skill" in order to apply for this position. However, if you're going to be at GDC, happen to speak Japanese, and want to work at Kojima Productions, swing by booth 1914 at the career pavilion to apply.